Rug Cleaning and Area Rug cleaning has never been easier with us! Many of us find that placing designer and high end rugs and carpets in some areas in our home or office, is a great way of introducing more comfort, style and coziness to our surroundings. With these popular and expensive fabrics, it is mandatory that you keep these areas clean and unsoiled in order for you to enjoy the surroundings and beauty of it. Maintaining your rugs in a professional way is not only crucial to your surroundings and how it is displayed, but it also prolongs the life of the rug and its value. With a professional and proficient attitude, Carpet Cleaning Montreal is your answer to these cleaning needs. These area rugs and fabrics, is a highly demanded facet that needs professional cleaning along with the other fabrics in your home or office. Carpet Cleaning Montreal provides these great services. What can Carpet Cleaning Montreal do for your Area Rugs and Mats? Many that clean the rugs or mats on their own, think that a smooth vacuum can clean and rid the area of all soiled deposits. Although it may look like the rug is clean, the dirt and grime can bury itself deep within the fabric. Rugs are placed in areas of high traffic and need professional deep cleaning while still taking care of the fabric to ensure no damage is placed during this process due to the nature of some of those sensitive fabrics. We are professionals that are well trained in the cleaning of these areas to the next level. With the use of a high powered industrial cleaning machines and specialized products, we attack the grime at the base of the problem and clean each layer of the rug. This eliminates the dirt from the base to the face of the mat, leaving a highly clean and good looking piece while still maintaining the fabric in its original state. We know that there is many different types of rugs and mats that our clients use and possess encompassing very from sensitive and high end imported fabrics. With the knowledge and training we have, there is no limitation to what our services can provide. This includes the much loved shagged carpet and the very stylish and elegant Oriental rug. With some rug types, including the very expensive Oriental rug, the process has to be done in a more precise and detailed manner. We are able to provide you with the specialized cleaning needs that you would need to tackle these stains, dirt and grime on your rugs while still maintaining and taking care of your rug. We can target the grit that effects these great pieces and eliminate any dirt and grime present. With no restriction to these cleaning matters, Carpet Cleaning Montreal provides the best in accommodation for all clients alike, no matter the style or fabric of the rug. 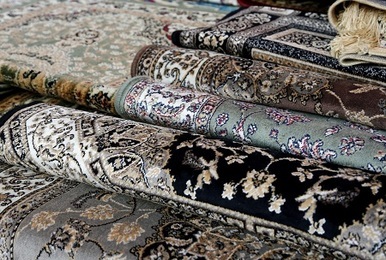 With the different varieties and styles of rugs, We bring our expertise, quality, professionalism and extensive training to your rug cleaning needs. We identify the problem areas of the rug with precision and care. We take the different fabrics and materials of the rug into consideration, along with the application of the correct cleaning agents to dissolve the grime that is present. With more intense rugs and mats, we use ﻿steam cleaning﻿ water extraction that does not damage the area and leaves the rug in its natural and stylish state. This is done with expertise and experience. Your next carpet cleaning in Montreal endeavors with us will leave you satisfied and content. Leave the cleaning and science of these processes to us!